Indoor Air Pollutants: Out with the Bad Air, In with the Good! Even though Sydney is ranked pleasantly low on the air pollution chart, the bustling city area with countless vehicles going by can make you slightly paranoid about the air that you’re breathing in. Now imagine having that same paranoia when you walk into your home. Did red lights and sirens go off in your head? That’s because our home is a place where we want to feel safe, comfortable and of course, free from bad air! Unfortunately, clean, healthy indoor air isn’t a given. There are measures that need to be taken if you want your home environment to be a clean, hazard-free zone. There are several ill effects of having unclean air in your home. From allergies, coughs and colds to more serious health problems like asthma, respiratory conditions and chronic obstructive pulmonary disease; the quality of your indoor air should be treated as a priority at home. While some factors that contribute to indoor air pollutants may be obvious, there are others that many homeowners overlook and hence, they continue to contaminate indoor air. Here’s a quick look at a number of indoor air pollutants and how you can keep them at bay for a healthier home environment! Dust is a common trigger for asthma attacks, allergies, and other health issues. It’s everywhere; on your furniture, under it, on your floors, walls and even ceilings. Regular dusting, vacuuming and even wall cleaning is the best way to minimise household dust and avoid allergies. Pet dander and fur can cause allergic reactions in many individuals, and with your four-legged family members running around the house, it gets everywhere. Bathing your pets on a weekly basis will help curb pet dander while brushing them down in the backyard will help eliminate 90% of the fur they shed in your home! The smell of mould and mildew in the air is unmistakable. However, if it’s a small amount that has built up in an inconspicuous area, you may not realise that you have mould. That doesn’t mean it’s not in the air and won’t affect your health. Hence, do monthly inspections under your sinks, behind furniture, ceiling corners, kitchen cabinets and other places where mould growth is commonly found. Use a natural disinfectant like white vinegar to clean mildew. Nothing adds warmth to your living room like a fireplace (literally and figuratively). But wood-burning fireplaces pollute your indoor air more than you realise. They release carbon and soot into the air which can lead to respiratory problems. We suggest you switch to a greener alternative like natural gas or consider burning wood pellets that are made from lumber byproducts as opposed to full logs. While chemical cleaners do well to clean your home, the smells and toxic residues they leave can trigger allergies and cause other illnesses. These chemical products can also irritate your lungs and cause breathing difficulty. It’s best you switch to natural cleaners or mild cleaning products which don’t have a strong smell. Cigarette smoke is an obvious health-damaging air pollutant. Particularly in homes with young kids and elderly people, secondhand smoke can cause havoc for their health. If you or your guests choose to smoke, it’s advisable to do so outside the house in an area where the smoke won’t enter through your windows or door. Clogged air vents or ducts can also release dust and dirt into your indoor air. Regular cleaning won’t do much good if you’ve got clogged air vents that are constantly contaminating the air in your home. 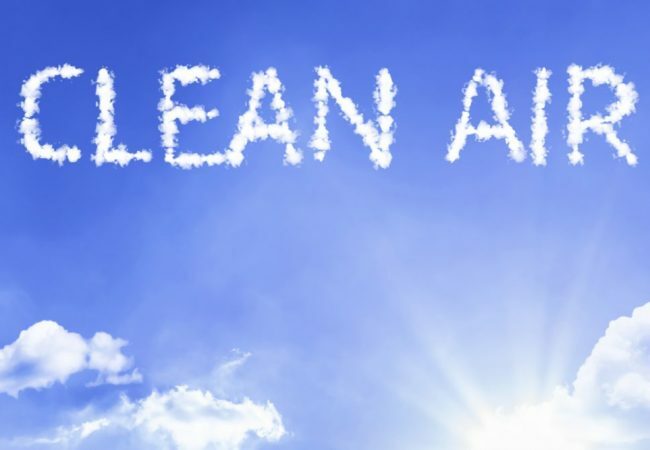 Routine cleanups are not only a must for keeping indoor air pollutants in check, but also for proper functioning of your HVAC systems. Another great way to abolish indoor air pollutants is by installing air purifiers. You can opt for HEPA filters that trap dust, dirt, smoke, fur and other fine particles that circulate in your home, keeping your home environment safe and healthy. To help you stay on top of all your household cleaning and keep your indoor air quality at an all-time high, hire a cleaning with Simply Maid! We offer all kinds of home cleaning services with affordable rates and excellent results! Bathroom Cleaning Tips – When the Mould’s at Bay, the Cleanliness Will Stay! A Pest-Free Home? Yes, Please! Next Post: How to Keep Kids Active at Home During Summer! Previous Post: 13 Household Uses for Newspaper You Wish You Knew Before! We're a bunch of fun misfits who's on a mission to WOW you with outstanding treatment. We believe a good, fresh clean will help create a happy home. To that end, we focus on providing a seamless online booking experience, top-notch customer service and quality cleaners. Book your service and relax. We'll go above and beyond to bring happiness to your home. At Simply Maid, we offer household cleaning services to homes all across Sydney and all its surrounding suburbs. For more information about our service area visit our locations page by clicking below. 10 Tips to Make Your Bedroom 10x More Appealing!